Is The Improved Yamaha STAGEPAS 400I PA System A Hit With Musicians? 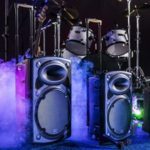 With a 400W output, new design for increased coverage and a new STAGEPAS mixer, the Yamaha STAGEPAS 400I Portable PA System will be an interesting option for many musicians. 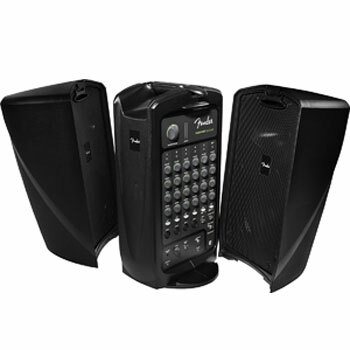 This PA sound system promises to be easy to set up, brilliantly portable with its hand-held design and ideal for any occasion. With this, and the Yamaha name, there are high expectations on this system but can it deliver? 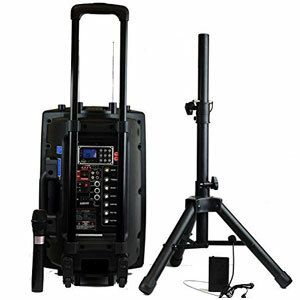 What benefits have buyers appreciated with this Yamaha Portable PA System? The stand out factors with this Yamaha STAGEPAS 400I Portable PA System are versatility and portability – this is a system designed to be carried around lots of different venues by in-demand musicians and to give them the opportunity to adapt their output. The other important aspect is of course the quality of the sound that comes out of the system and many buyers are impressed by the clarity and the volume on offer. There is also the chance to adapt the sound with effects, such the built in SPX digital reverb, project the bass further with the additional subwoofer and use feedback suppression. The only real downside here is that the 1-knob Master EQ is a little limited. 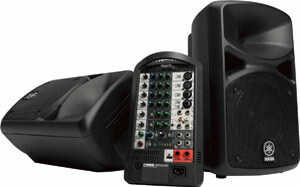 What other problems have buyers experienced with this Yamaha STAGEPAS Portable PA? There are, however, a few negative comments about the power and the durability of the item. Many buyers talk positively about the way that this system projects sound to a small venue but there are some that had expected great capabilities and power and were left disappointed by the fact that this apparently upgraded PA only offered 400W at peak power. Yamaha appear to have compensated by decreasing the speakers from 6 ohms to 4. As for the durability, the plastic is seen by some as being a bit cheap, as it scratches easily, and they worry about how well it will hold up to bigger knocks or drops. Summary: how does this affect the final verdict on this Yamaha STAGEPAS 400I? In the end, these comments are a few individuals in a sea of very happy consumers and musicians so the concerns do not have a massive bearing on the enjoyment and potential of this machine. However, the issue with the power and the frequently mentioned ideas on small venues do show the limitations of this system and it will not be adequate for all needs. 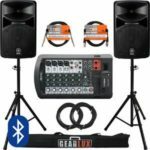 If you are looking for a portable, reliable, machine for small venues, there is a lot of potential in this Yamaha PA System thanks to its portability, effects, sound quality and range of inputs. 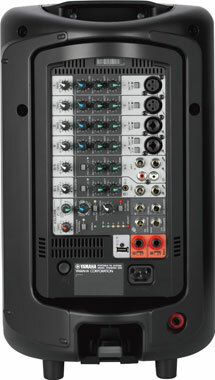 Find more customer reviews about the Yamaha STAGEPAS 400I Portable PA System on Amazon here.